In the early 1960s real estate developer and art collector Raymond Nasher leased a 97-acre cotton field from Will Caruth, located across the street from Caruth’s 1852 farmhouse and 1872 mansion. 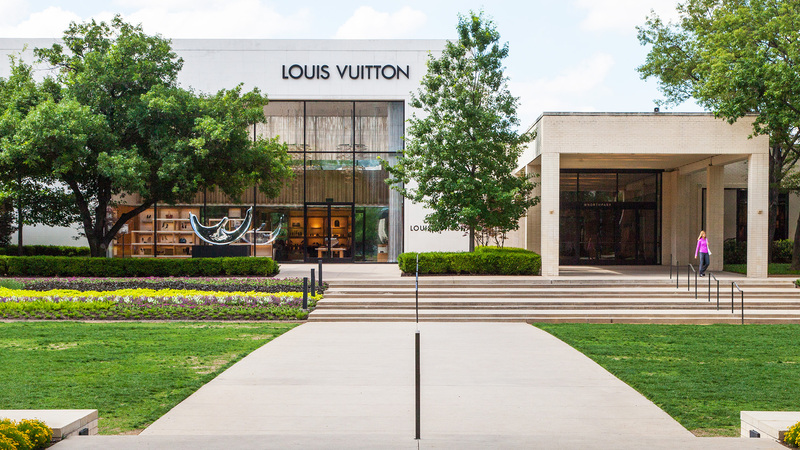 Nasher envisioned a major retail destination within a landscape that, at the time, was predominantly farmland. 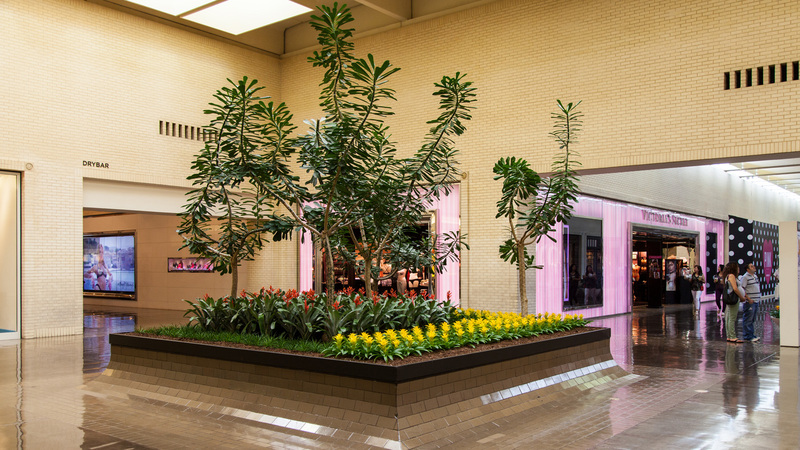 Located at what is now the intersection of two of Dallas’ major highways, at 2,000,000 square feet, NorthPark opened in 1965 and remains one of the largest regional shopping centers in North America. 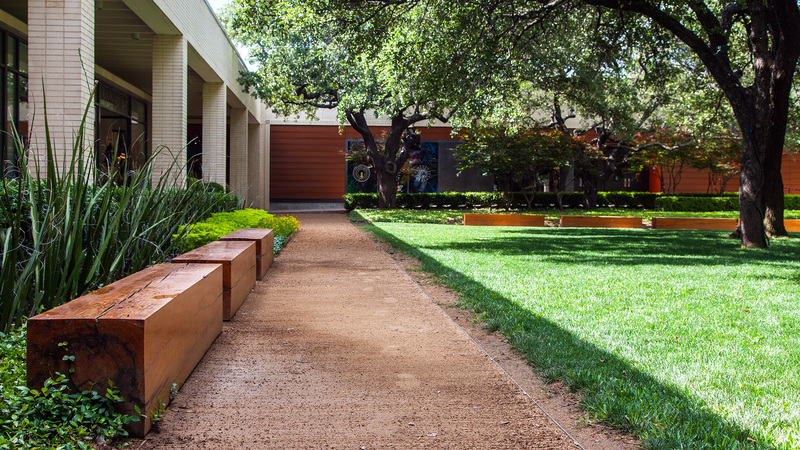 Nasher hired George Harrell and E.G. Hamilton, of architecture firm Omniplan, and landscape architects Lawrence Halprin and Richard Myrick. 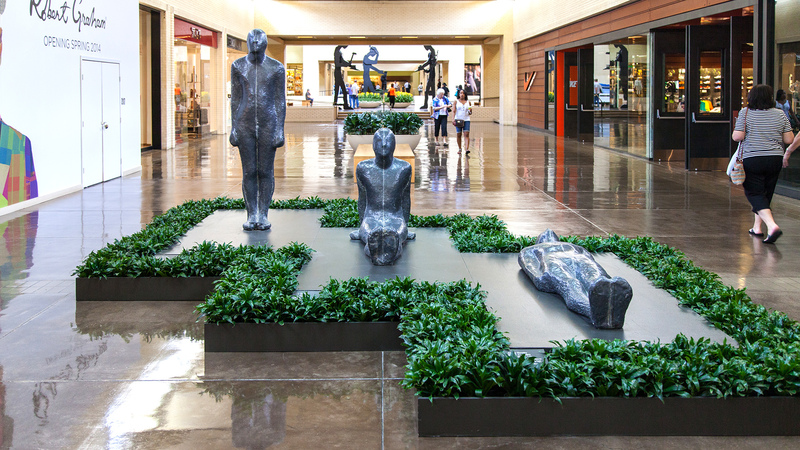 Halprin, who designed a number of shopping centers early in his career, laid out the parking spaces for NorthPark as a series of outdoor rooms, curating them with trees, plantings, and minimal signage. He used the existing topography to his advantage, arranging the 6,000 parking spaces so that none was more than 350 feet from the mall’s entrance. 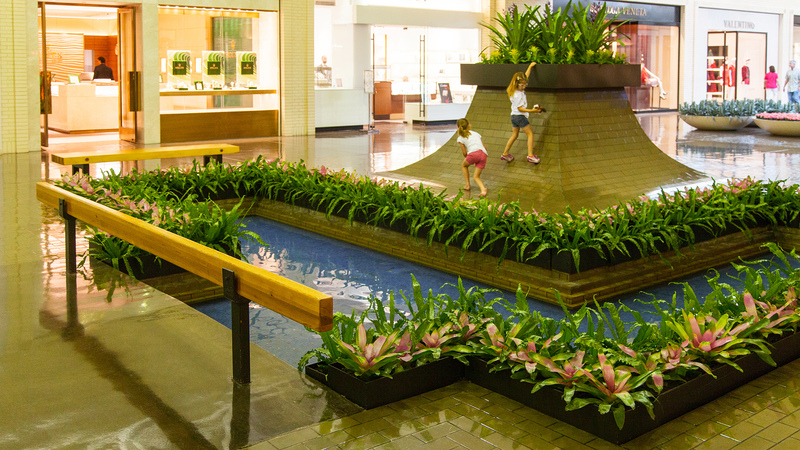 The mall’s interior was conceived as a series of modular spaces utilizing natural light. 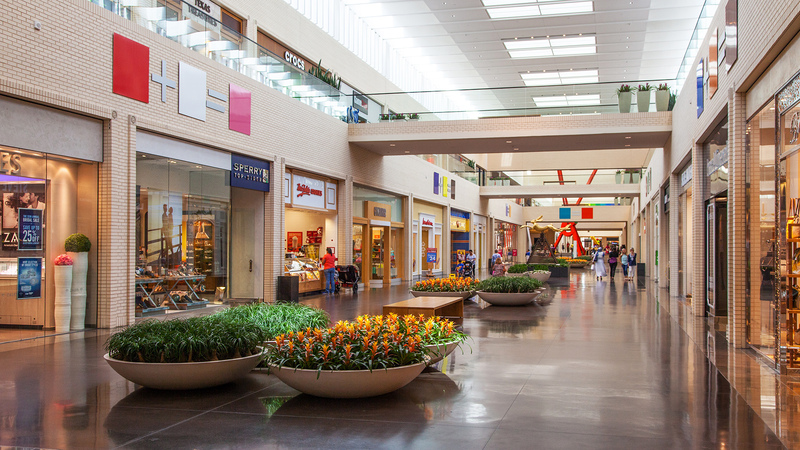 Originally constructed in an L-shape, in 1976 the shopping center was expanded into a U-shaped complex. 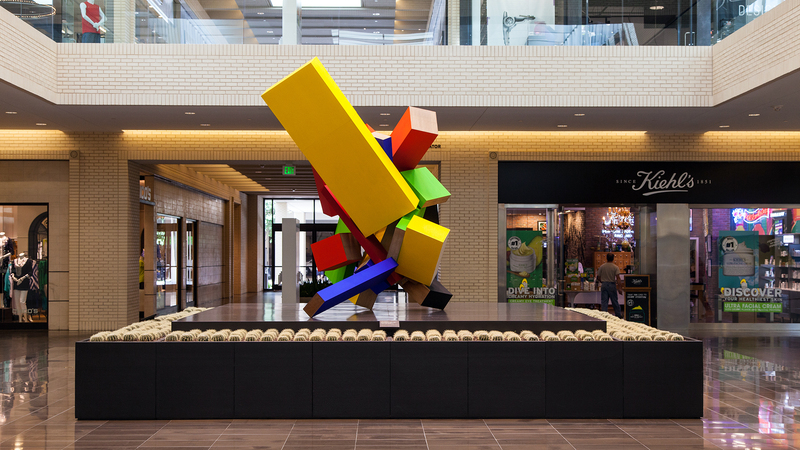 In 2006 Omniplan was re-hired to add an additional 88,000 square feet to the property, shaping its footprint into a full square. 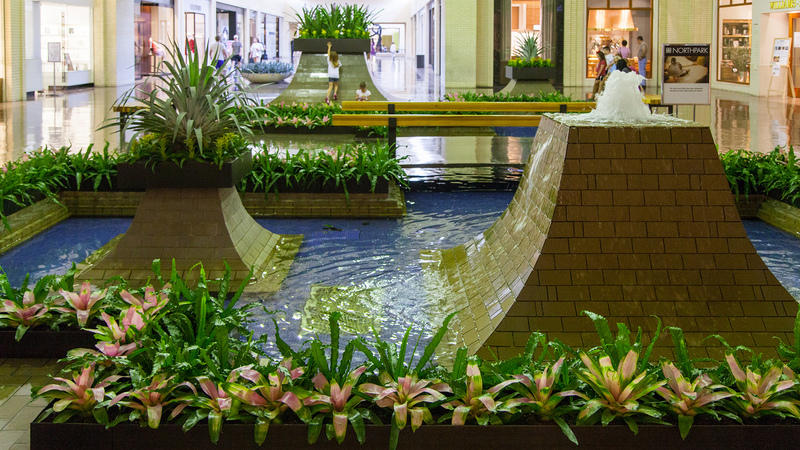 Several elements, including fountains, benches, planters, and tiling, were retained from the original 1960s design. 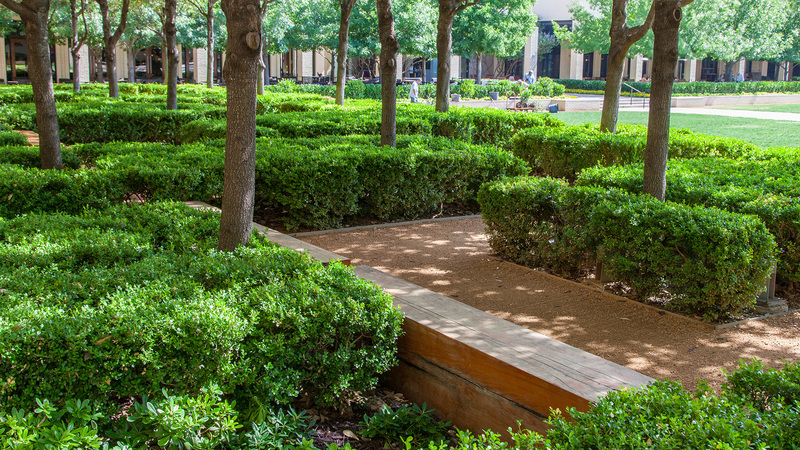 The updated structure resulted in CenterPark, an enclosed 1.5-acre greenspace featuring expanses of lawns planted with red oaks and perennials. 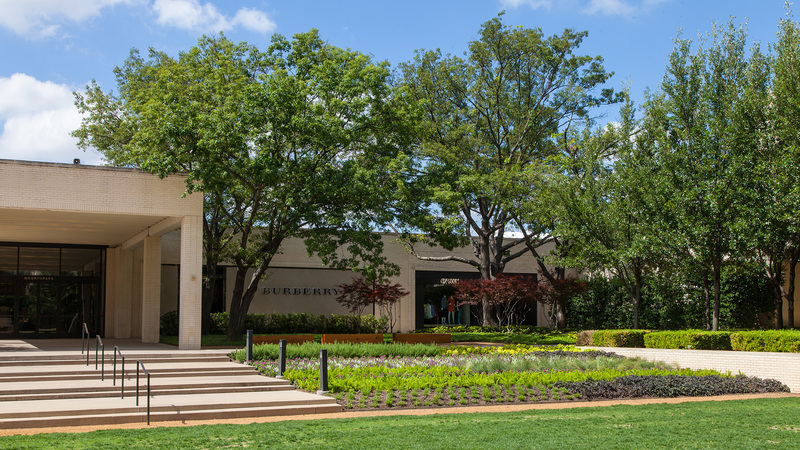 Since its inception, NorthPark has been considered an “art museum inside a shopping center.” Nasher displayed his fine-art collection throughout the interior landscape. 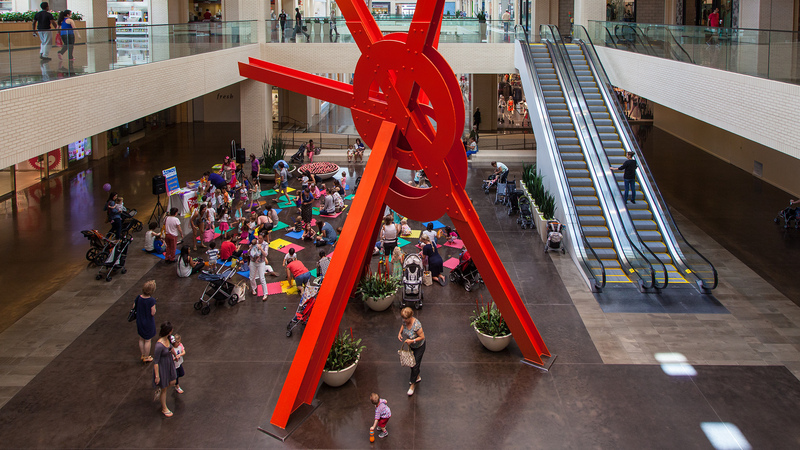 NorthPark has since featured the work of such renowned artists as Andy Warhol, Frank Stella, Jonathan Borofsky, and Jim Dine, among many others. 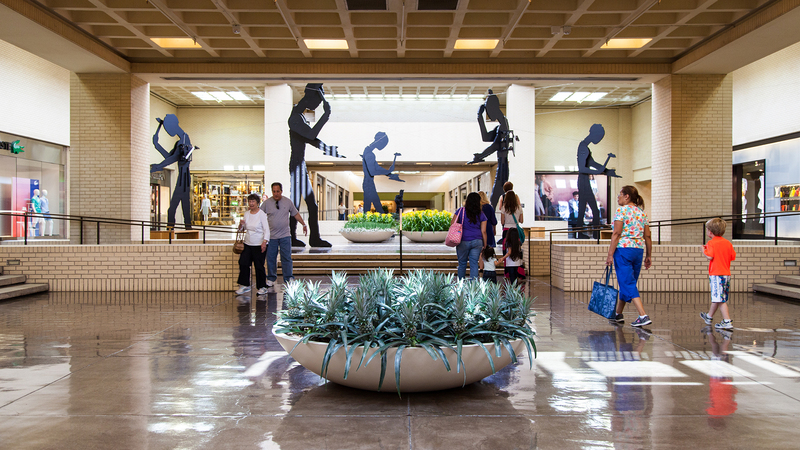 It received the AIA “Design of the Decade – 1960s” award for being one of the earliest shopping centers in the United States with a space for displaying fine art.